You may already know part of the story: In 1909, while in London, Chicago publisher William Boyce lost his way in a fog. A British Boy Scout guided him to his destination, but then when a grateful Boyce offered the Scout a tip, the boy refused it. Impressed by the boy’s spirit, Boyce asked about Scouting. The youth gave him directions to Scout headquarters and the office of Lord Baden-Powell, the famous British general who had founded the program in Great Britain. An inspired William Boyce returned to the United States. 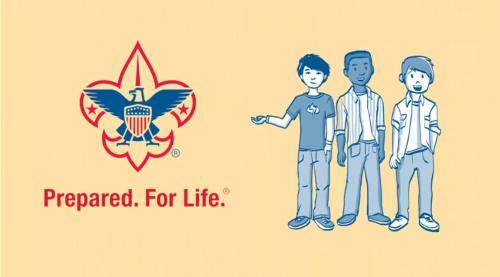 With the help of Ernest Thompson Seton, William Carter Beard, James E. West, and others, he founded the Boy Scouts of America in 1910. Back in England, younger boys were eager to become Boy Scouts. In 1914, Baden-Powell began implementing a program for younger boys that was based on Rudyard Kipling's Jungle Book. The Wolf Cub program began in 1916, and since that time, Wolf Cubbing has spread to other European countries with very little change. Video with Chinese subtitles can be found in the link below at the bottom of the post. VPN may be required to play.